While the idea of eating stinging nettles may sound intimidating (even painful! ), there’s no need to fear them. It’s easy to take the sting out of the nettles – just cook them! Nettles have a wonderful green, herbaceous flavor, sometimes compared to a cross between spinach and cucumber, with a hint of mint. 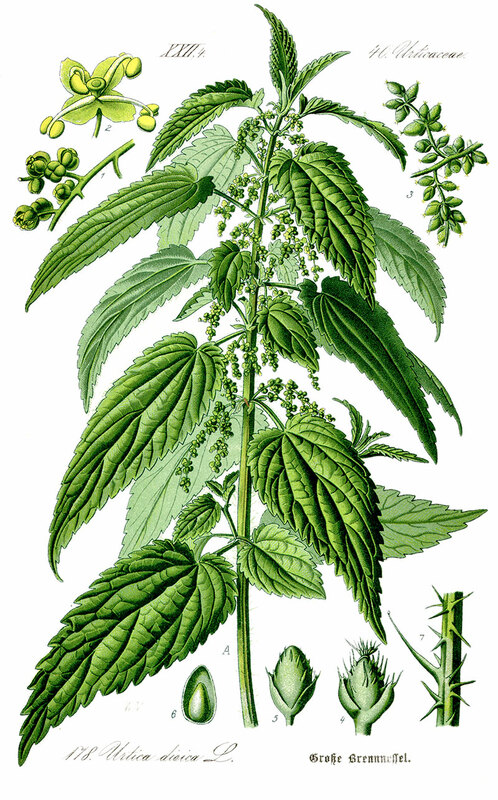 As one of the first edible wild plants to appear each spring, nettles have been an important folk food for millennia. After a long winter without fresh vegetables, our forbearers eagerly awaited the arrival of this nutritious and vitamin-packed tonic each spring. While nettles have been relatively unrecognized as a food source for human consumption in America, they have remained a popular and much-beloved wild food in England and across much of Europe where many traditional dishes featuring nettles are still enjoyed. 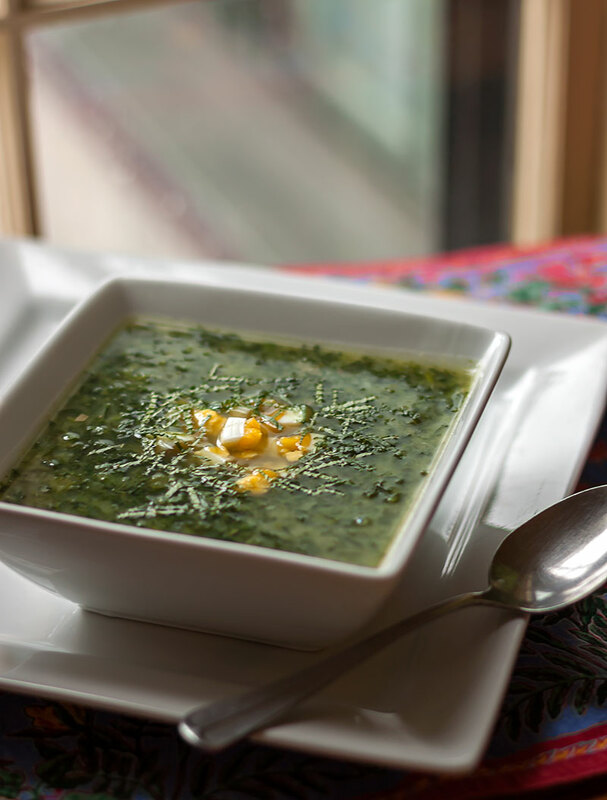 Nettles are frequently used in soups, but the tender young leaves and shoots of this versatile plant can be used in many different ways. Blanched and chopped nettles, mixed with ricotta & parmesan cheese, make a wonderful filling for ravioli. Substitute cooked nettles for spinach in the Greek classic, spanakopita, stir into risotto or use in place of basil for a unique take on pesto. And that’s not all. Dried nettle leaves lose their sting and make a wonderful herbal tea. Nettles can even be used in beer, a refreshing spring wine or a naturally sparkling (and slightly alcoholic) soft drink. By late spring, nettles begin to flower and are no longer edible, so don’t wait too long before harvesting them. Chances are that nettles are growing in your backyard, your garden or the vacant lot down the street. Why pass up the chance to enjoy one of nature’s most nutritious and abundant wild spring greens – especially when it can be had for free? 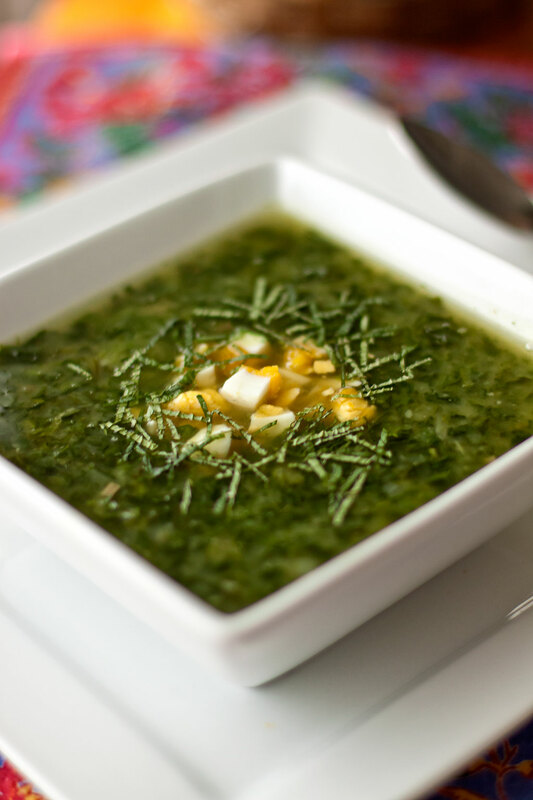 Treat yourself to some delicious & nutritious wild nettles by making this vividly green spring soup. If you can’t find wild nettles growing near you, you can order them online each spring from Earthy.com. Melt the butter in a large pot over medium high heat. Add the onion and cook, stirring occasionally, until soft, about 3 minutes. Add the stock and potatoes and bring to a boil. Add 1 tsp salt, reduce the heat to a low simmer and cook until the potatoes are tender when pierced with a knife, about 15 minutes. Using gloves, rinse the nettles well under cold water to remove any dirt or grit. Using scissors, cut the leaves and tender shoots from the larger stems. Discard the tough stems. Add the cleaned & trimmed nettles to the pot and cook until very tender, about 10 minutes. Add salt & pepper to taste. Puree the soup with an immersion blender, regular blender or food processor to the desired level of smoothness, working in batches if necessary. For a finer texture pass the soup through a sieve or strainer. Taste again, and adjust seasonings if necessary. Serve hot, garnished with thinly sliced mint. Finish with a spoonful or two of chopped hard-boiled egg , if desired.